Henry Holt and Co., 9780805094466, 320pp. In The Longest Road, one of America's most respected writers takes an epic journey across America, Airstream in tow, and asks everyday Americans what unites and divides a country as endlessly diverse as it is large. Standing on a wind-scoured island off the Alaskan coast, Philip Caputo marveled that its Inupiat Eskimo schoolchildren pledge allegiance to the same flag as the children of Cuban immigrants in Key West, six thousand miles away. And a question began to take shape: How does the United States, peopled by every race on earth, remain united? 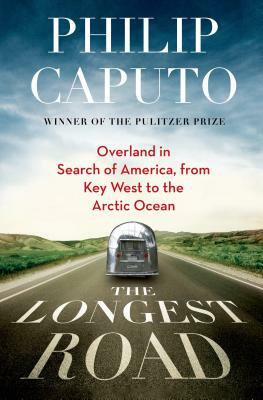 Caputo resolved that one day he'd drive from the nation's southernmost point to the northernmost point reachable by road, talking to everyday Americans about their lives and asking how they would answer his question. So it was that in 2011, in an America more divided than in living memory, Caputo, his wife, and their two English setters made their way in a truck and classic trailer (hereafter known as "Fred" and "Ethel") from Key West, Florida, to Deadhorse, Alaska, covering 16,000 miles. He spoke to everyone from a West Virginia couple saving souls to a Native American shaman and taco entrepreneur. What he found is a story that will entertain and inspire readers as much as it informs them about the state of today's United States, the glue that holds us all together, and the conflicts that could cause us to pull apart. Philip Caputo is an award-winning journalist—the cowinner of a Pulitzer Prize—and the author of many works of fiction and nonfiction, including A Rumor of War, one of the most highly praised books of the twentieth century. His novels include Acts of Faith, The Voyage, Horn of Africa, and Crossers. His book, The Longest Road, was a New York Times bestseller. He and his wife, Leslie Ware, divide their time between Norwalk, Connecticut, and Patagonia, Arizona.